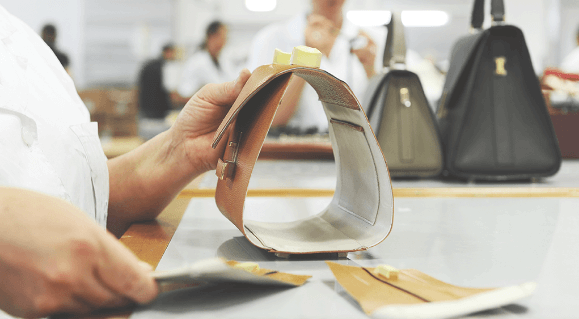 Artigiani Veneziani is a leather goods company grown in the Italian manufacturing tradition. Since the 1970s, Artigiani Veneziani has manufactured entire leather product collections and accessories with time-honored craftsmanship, combining leather-working heritage, experience, and the drive for innovation. 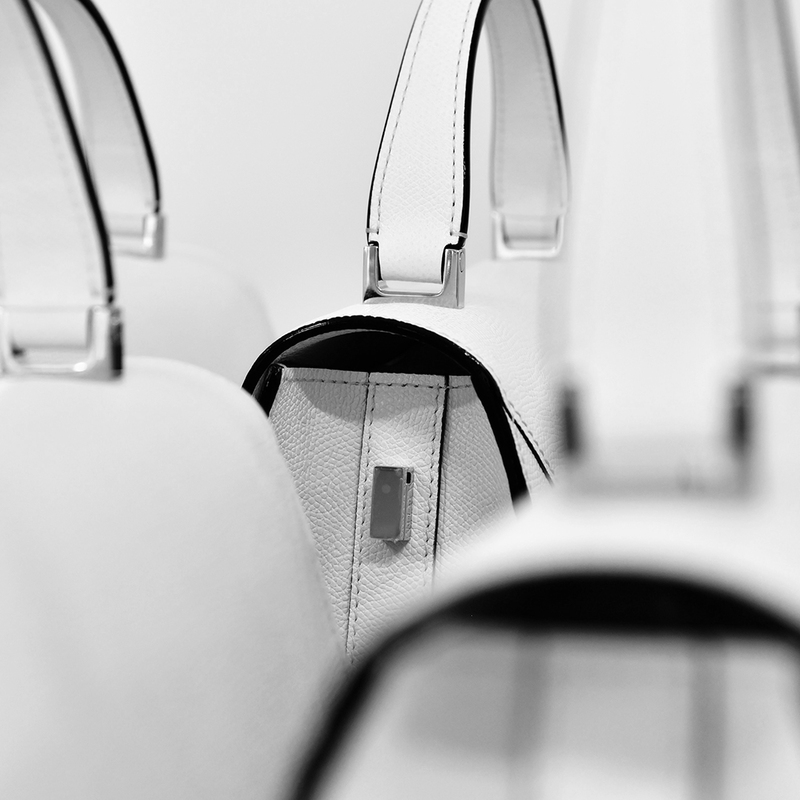 We manufacture refined leather accessories that showcase the unique style of the prominent names we work for. 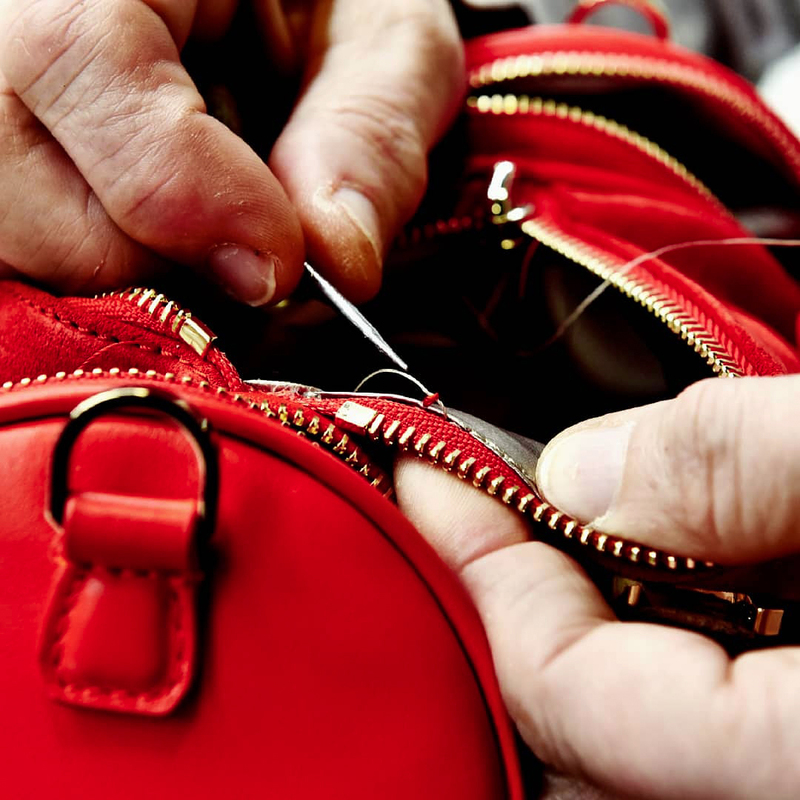 We maintain the ability to develop products by gathering specific requests, applying our creative resources, and then designing any type of product, from soft to structured bags, to evening clutches. We understand the ideas and objectives of our clients, shaping entire collections with just a few suggestions. 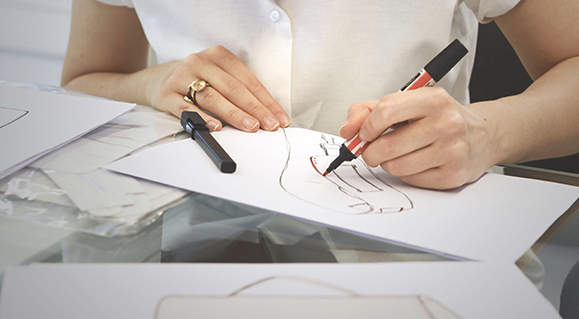 A basic pencil sketch and a simple description of the desired style is enough for Artigiani Veneziani to create a collection befitting the customer’s requests. Thanks to the combination of decades of experience, the most modern technologies in the industry and a quest for innovative materials Artigiani Veneziani can produce articles with originality and the highest quality craftsmanship, all the while respecting the trends and standards dictated by the most important markets in the world. The production is centered on traditional dedication to craft, using the utmost care and manual operations, from the precise cutting of the models to the hand or mechanical stitching phase. 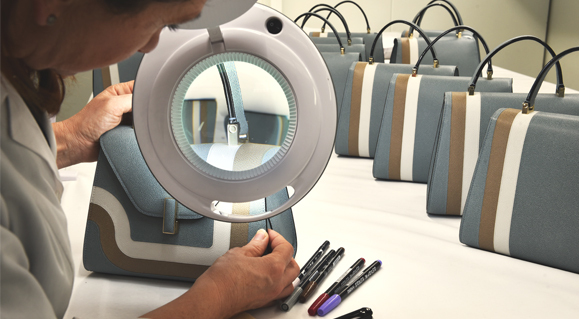 This work system ensures a true to detail realization of the initial design and gives our bags the unique touch of craftsmanship. With over 50 years of experience in leather manufacturing, Artigiani Veneziani is a leader in high quality leather goods production. 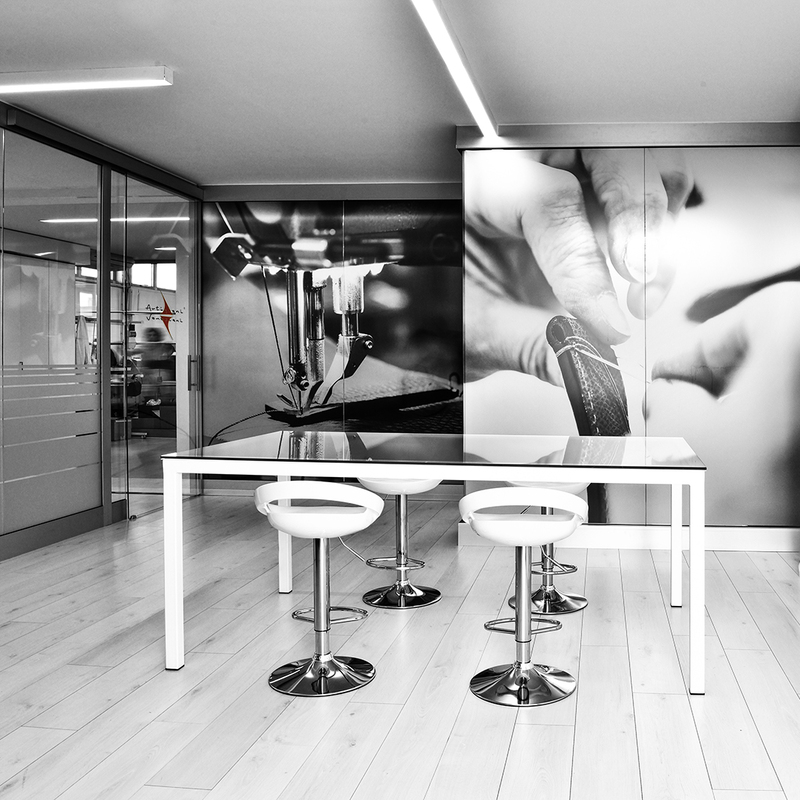 Three Artigiani Veneziani facilities, located in Venice, Florence and Slovenia offer a full 360 degree service, characterized by creative design and production following the highest quality standards. Beginning in a small workshop, Artigiani Veneziani has grown to employ over 200 people and occupy over 6000 square meters of production space. The three production facilities are equipped with the most sophisticated machinery for refining goods to perfection, where every detail is examined and inspected with the expert eyes and hands of master craftsmen. 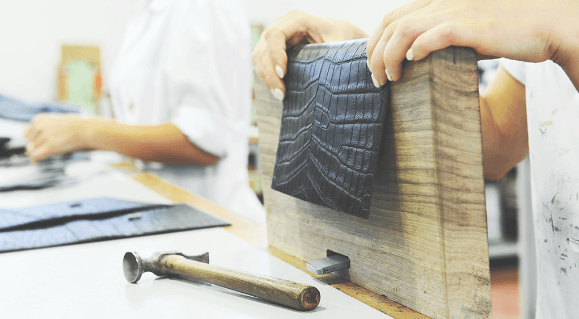 The mastery of leather: the experience of the Venetian master leather artisans. Mastering a raw material means knowing its essence, its characteristics and its evolution during the production process. The years of experience held by the Artigiani Veneziani artisans and their ability to remain current ensures every product conceived fuses masterfully the past and the present. In the past, each object carried within itself the traits of the hand that created it. 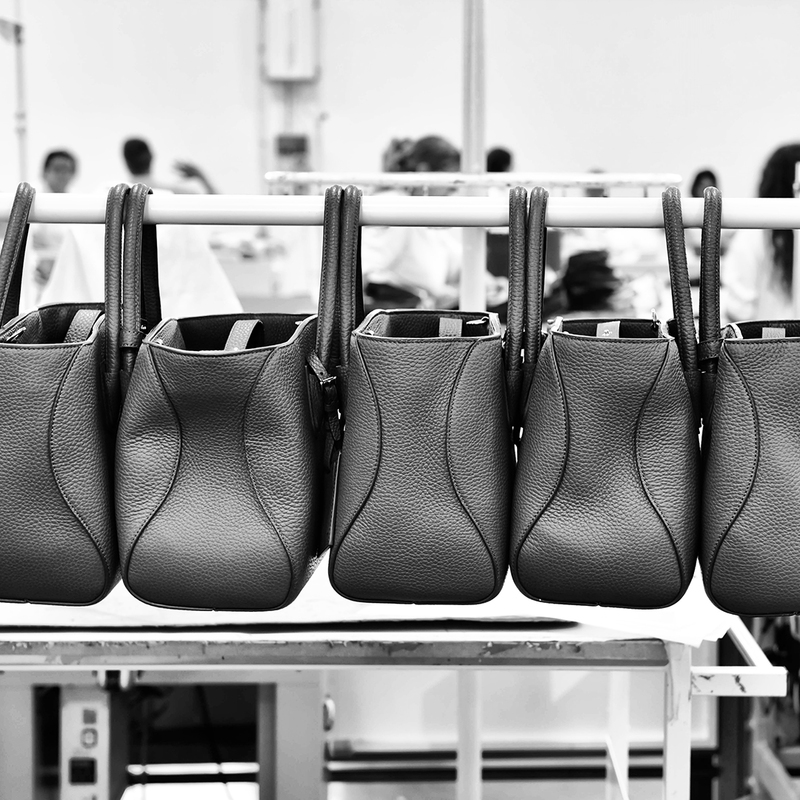 This “Made in Italy” leather craftsmanship comes to life in our production, making every accessory unique and precious. Our company meets all the occupational safety standards and we not only focus on the final product but are also committed to ethics and operational excellence. A cradle of creativity, where tradition and technology meet and develop constantly. While there dwells the philosophy of tradition, where the craftsman’s skills and experience are the beating heart of the project, there also exists the need to keep up with the times, or rather to look forward. Technology is evolving at extraordinary rates, and we with it. Designing and developing new solutions is a motivating force for Artigiani Veneziani. By applying the latest technologies at every phase of the production chain, we achieve the agility to respond to the needs and requirements of the product, the customer and a market increasingly dependent on speed, quality, efficiency and customization. 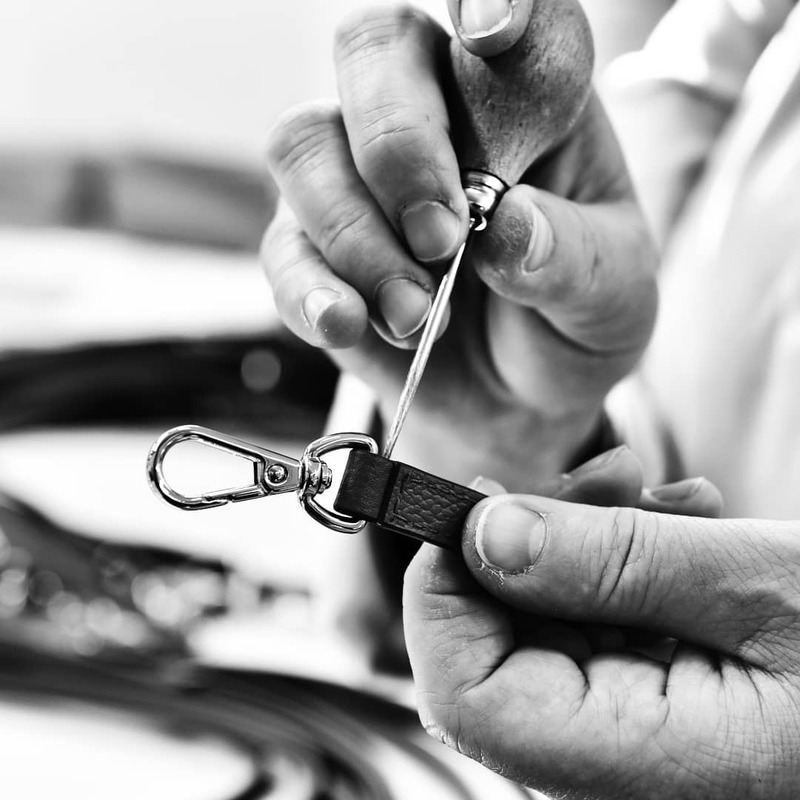 The Artigiani Veneziani production department is equipped and organized to satisfy all customer needs. We are able to produce all varieties of leather goods, from accessories for men to both day and evening bags for women. We manage and maintain every single step of production, from concept to delivery. Our production methods are developed from extensive experience. The entire process has been refined and actively improved over the years, achieving maximum speed and efficiency. Product experts, perform Quality Control before starting the production phase, at the very arrival of the leather and accessories material. Technicians and workers carefully follow every stage of the process. Quality Control then inspects 100% of the items produced, following the specifications set by the customer and company. An idea and a simple pencil sketch from our customer develop into full collections. Beginning from initial sketches, and then applying scrupulous design work, we create finished models complete in every detail using state-of-the-art CAD modeling technology and a dedicated prototype department at our facility in Fossò, as well as at our new partner Florence Atelier. Age-old mastery and new knowledge, traditional materials and new experimentation, creative intuition and attention to commercial needs makes Artigiani Veneziani the ideal partner for companies that want to associate their brand with quality leather goods. Every product entrusted to the professional hands and technical expertise of Artigiani Veneziani is evaluated and analyzed in its entirety, so that the synthesis of production phases can be appraised for improvement, thereby reaching the maximum achievable quality even before being assigned to the company production line. 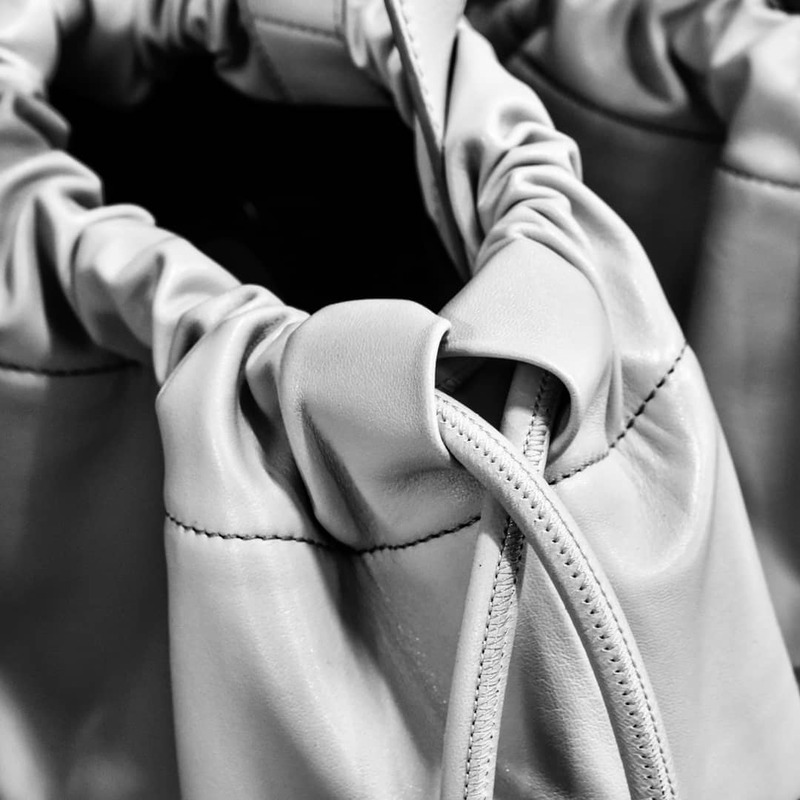 Every collection begins with the careful study of the leather characteristics, its shape, suppleness, and the contrasts created by its texture and color. 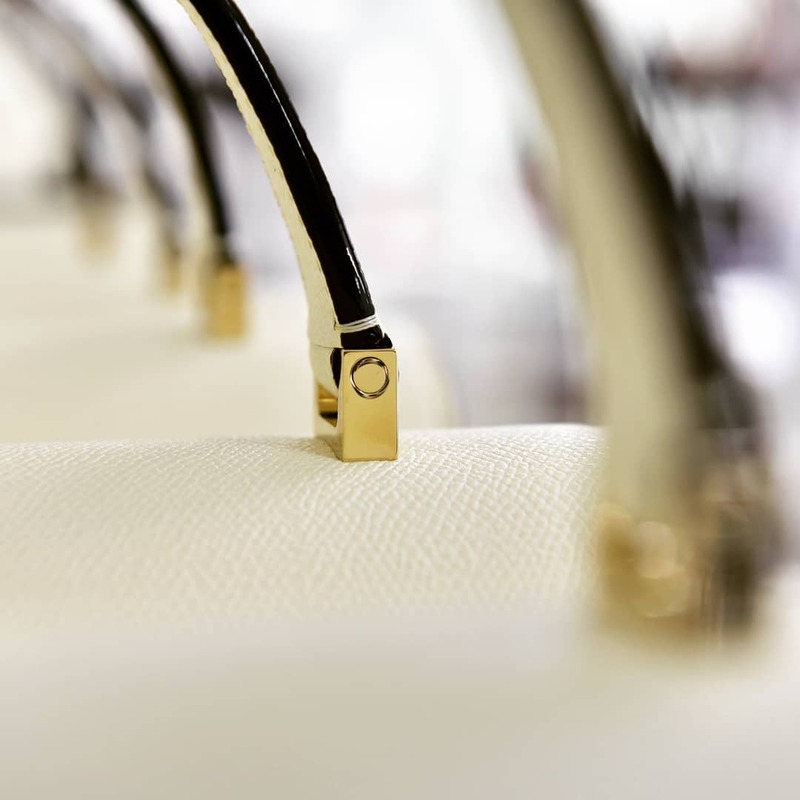 Time honored artisan techniques, new technologies and in-depth experience allow us to give shape to the creativity of our customers, realizing every accessory as they were imagined. Unlike the majority of our competitors, we have in place the entire production chain and can coordinate and control every phase of the production process. The allows us to offer a maximum number of solutions and strategies, from research and selection of leather , cutting to packaging, all the way to the final product, It creates a 360 degree service advantage for the customer and for the company. Every production provides daily opportunities to learn and grow. A constellation of collaborators surround the core of the company; accessory makers, prestigious tanneries, embroiderers, graphic designers and marketing experts. Each associate is carefully selected so that their expertise ensures the meticulous realization of every element comprising the finished product and its promotion. Venice is the heart of the company, where Artigiani Veneziani was born and where the company continues to grow every day. 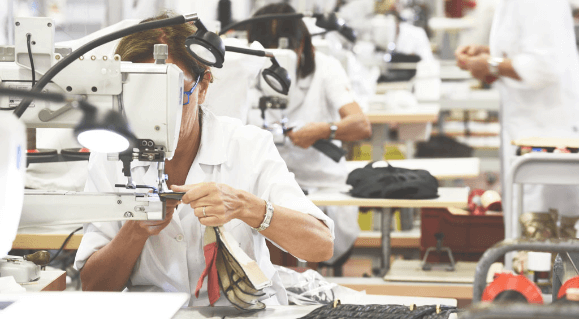 With a strong, solid structure, 3500 square meters and over 100 employees, this is where the Artigiani Veneziani production is primarily managed. This is where the complete production chain is controlled and guaranteed, from design to cutting, from assembling to finishing, and where logistical support is provided as well. In Florence we have our new atelier, conceived and established by Artigiani Veneziani to offer and guarantee an area for the development, design and creation of individual prototypes or entire collections. It is a new place where, in a practical, comfortable and a technically avant-garde environment, every designer can develop his own collections. It includes the most refined comforts of a showroom, but even more, an artisan workshop which takes advantage of the undisputed excellence of Florentine talent. For an effective 360 degree service, we decided to enhance the productive power of Artigiani Veneziani with a warehouse of over 2000 square meters and more than 100 employees. It provides added support for us but, primarily, it allows the possibility of being able to offer our customers an additional service, such as the “partial made” and still guarantees direct and total control of the production quality. Cliccando su invia, accetti che i tuoi dati vengano utilizzati secondo la nostra politica di trattamento della privacy.